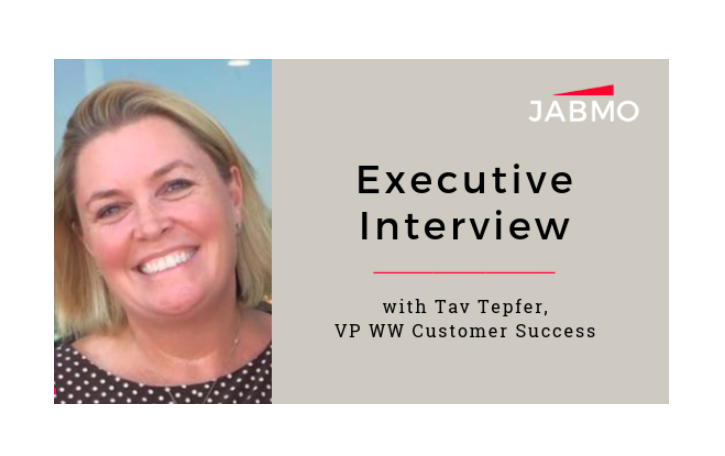 We sat down with Jabmo’s VP of Worldwide Customer Success Tav Tepfer to discuss how her team is working to drive results for Jabmo’s customers and how she sees the future of ABM. Q: What differentiates Jabmo’s customer success team from others in the field? A: Jabmo takes a more holistic view of what constitutes an ABM program and how we define success for our customers. We don’t just deliver an ABM platform and teach our customers how to upload files and run reports. Success isn’t achieved when we’ve completed a certain number of training modules with each customer. Jabmo’s ABM platform is just that: a platform for the rest of the services we deliver. My team works with clients to segment their target account lists into audiences, optimize the creatives and messaging of their advertising, and actively monitor engagement to identify accounts who are moving further along in their buying journeys. Q: What is the most important success metric your team is able to share with their clients? A: We’re finding that quickly after a program launch, Jabmo is driving more target-account traffic to our clients’ websites than any other marketing channel. 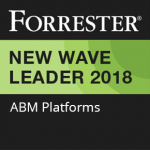 But what’s more interesting—and much more valuable—is that we’re seeing a consistent uplift across all marketing channels after we launch a client’s ABM program. 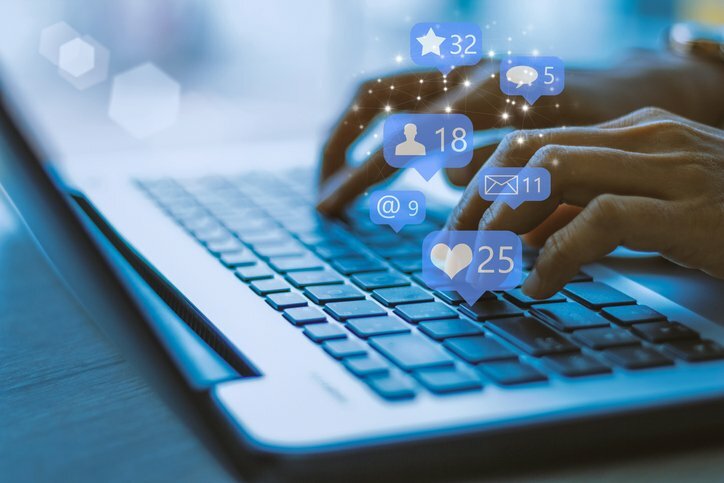 Once account-based ads familiarize target accounts with our clients and their marketing messages, those target accounts become more likely to open emails, engage with social-media posts, visit client websites directly, engage in search activity, and on and on. 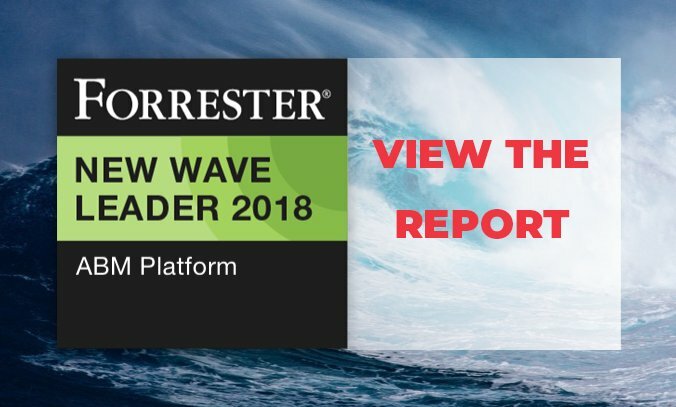 So even users who appear passive—that is: they see an ad but don’t click on it—are being influenced by account-based advertising and converting more easily across other channels. Q: It sounds like your team is involved in quite a bit of the creative development for their clients. What does the CSM Manager-Client relationship look like? A: You know, that really depends on the client and can even vary with a customer depending on which division or country we’re working in. 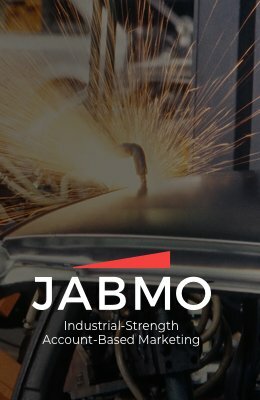 Some of our customers have very specific campaigns they want to augment or lead with Jabmo’s ABM platform and services. They might come to the table with complete or nearly-complete creatives. Other clients may be running campaigns in other channels that just aren’t working as well as they’d like, so they turn to us to build their creatives and messaging from scratch. We can work within the parameters required by either of those scenarios—as well as everything in between. Jabmo’s customer-success protocol isn’t prescriptive as to the level of marketing maturity or degree of oversight we need from a client. Obviously our most successful programs are ones that are collaborative between my team and their clients, but that collaboration can look really different depending on the client and their needs. Learn more about Jabmo’s ABM Managed Services.